18ct Rose Gold Omega Speedmaster Day Date 3623.50.01. 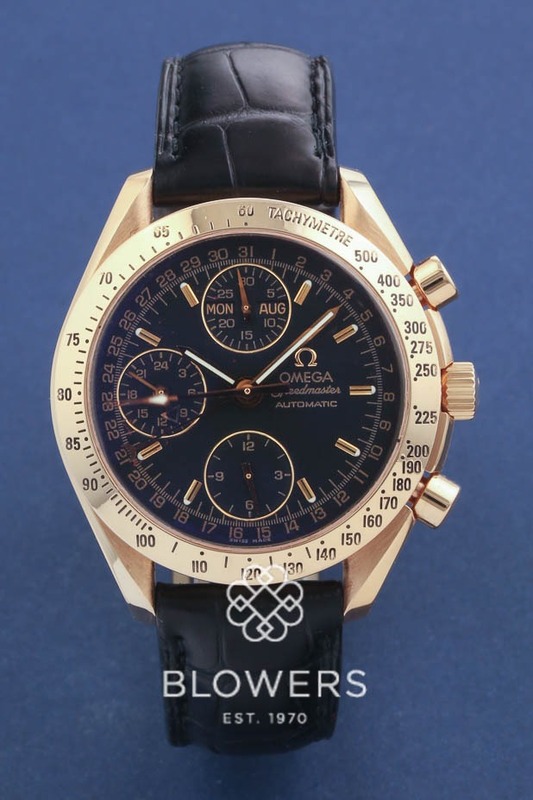 18ct Rose Gold Omega Speedmaster Day Date 3623.50.01 39mm Automatic 1151 calibre Chronograph movement. 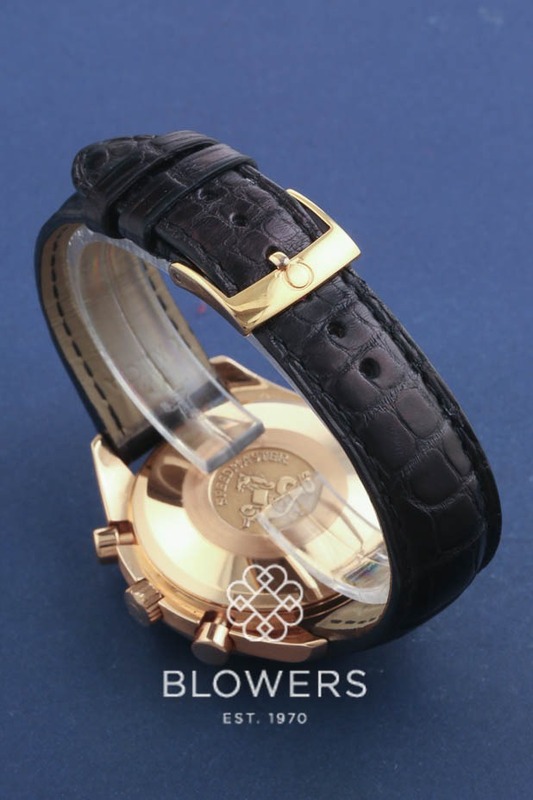 Case diameter 39mm. 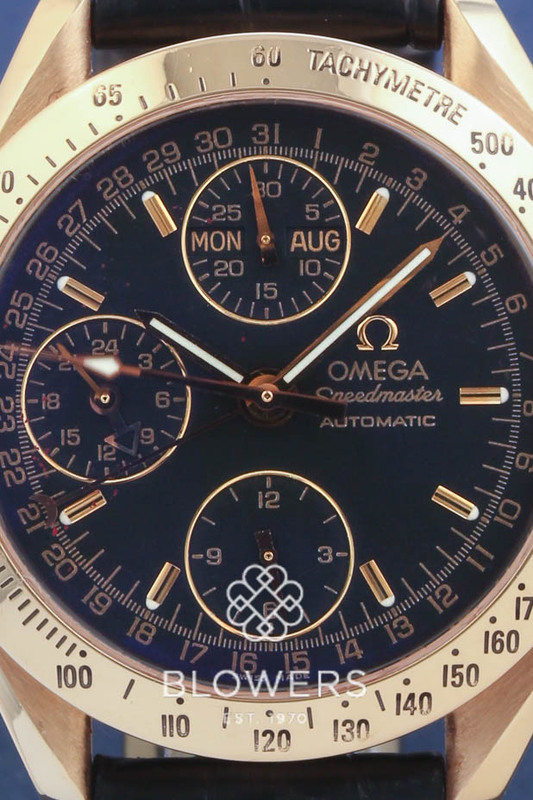 Power reserve of 44 hours. 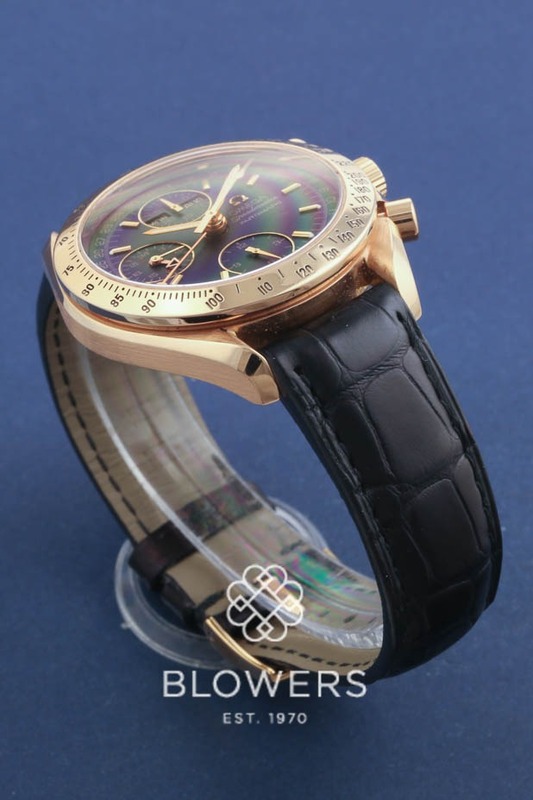 Black dial with black sub dials and rose gold Index hour markers. Day and Month at the 12 o'clock position. 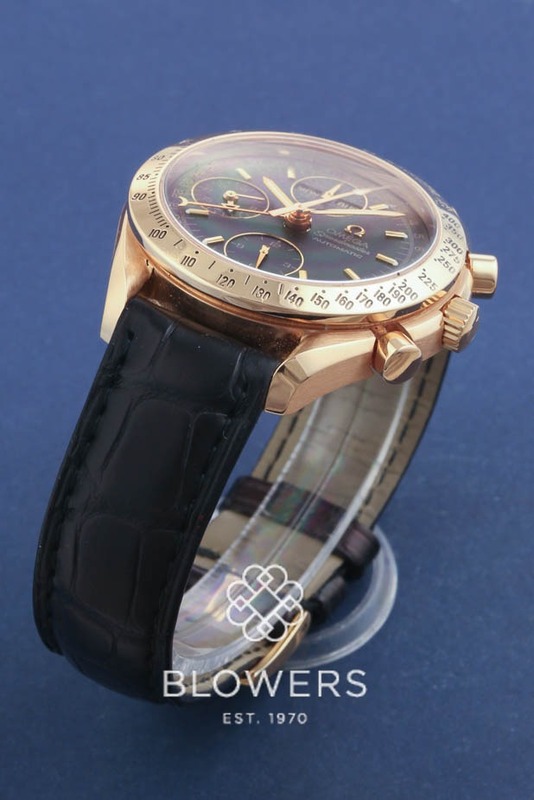 Rose gold fixed Tachymeter bezel. 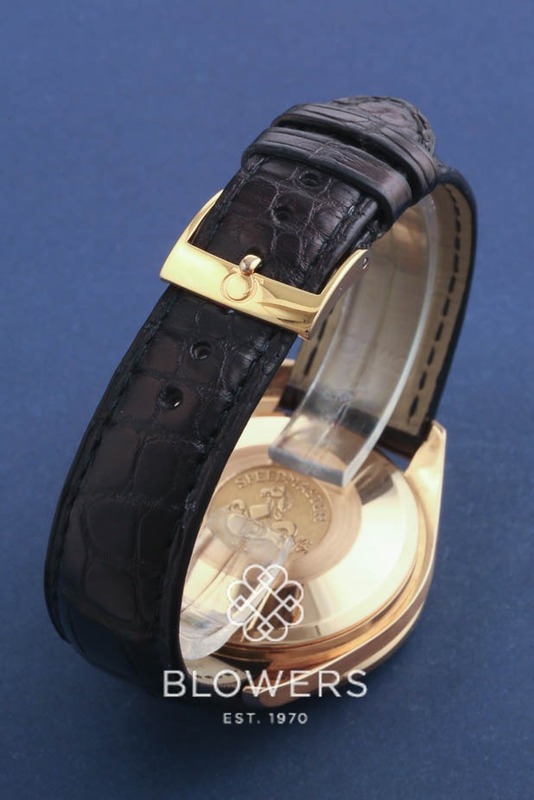 Black croc strap with rose gold Omega pin buckle. Box and papers dated November 2001. SKU: 3013656. 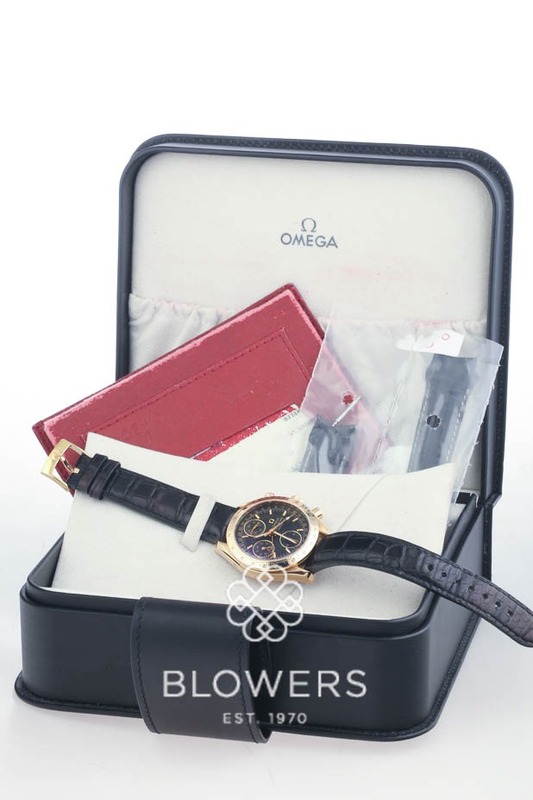 Categories: Omega, Speedmaster.